New album "Wonderland" released to rave reviews!! "I Love The Night" released reviews! At age 7, a young left handed aspiring musician was handed a guitar. "If you're going to learn to play, it is going to have to be on this right handed one." Playing flipped around and upside has proven to be a metaphor for Irv Lyons Jr.'s life. Nothing gets this man down. Irv's sultry vocals and melodic guitar playing brings to the band a distinctive sound rooted in Latin influenced jazz, as well as country and blues. Irv has opened up for Dickie Betts, Grammy Winner Joanne Shenandoah and NAMMY winner Jana. 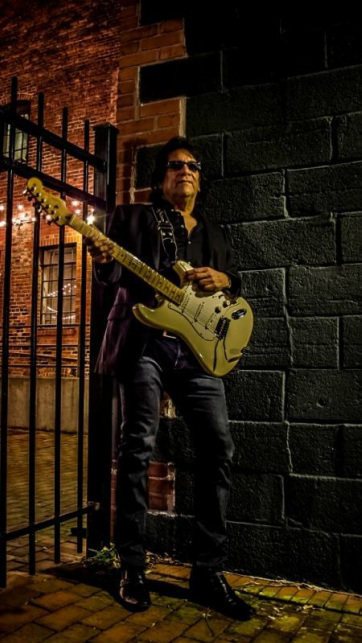 This Oneida Nation Native is a major contributor of original material for his other band The Ripcords including straight ahead blues, instrumentals, Latin, and roots rockers. With this group he's graced the stage with such talents as Earl Slick, Terrance Simien, Dickie Betts, Coco Montoya, Jackie Greene, Kenny Wayne Shepard and Indigenous. Irv won a SAMMY with The Ripcords for best Americana CD in 2009. Irv Lyons Jr. covers everything from Blues, Rock to Funk.